Tailors who provide high standards and high service! 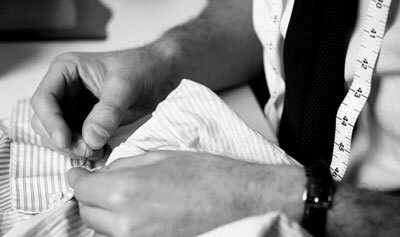 Henry Herbert Tailors handcraft the finest bespoke suits and shirts. True to the highest standards of traditional Savile Row tailoring, we use the finest fabrics, the finest tailors and, hopefully, the finest service. And as a result of this, we are happy to offer a full alterations service to non-customers of Henry Herbert suits and shirts. Henry Herbert was set up by me, Charlie Baker-Collingwood). Customers are welcome to visit us or we are happy to meet clients, wherever and whenever is good for them, with our custom built Vespa’s. We are a small firm and we work hard for our customers. Alterations Near Me - Bespoke Suits By Savile Row Tailors.